Tests are considered to be the gold standard in the cricketing world and every player wants to make his mark in the longest format. While there are some cricketers who get early exposure in the Test arena, there are others who spend a long time playing the shorter formats before getting a taste of five-day cricket. Australian fast bowler Mitchell Johnson is arguably the most feared bowler to have played cricket in the past decade or so. This reputation of his was built primarily due to the way in which he tormented batsmen all around with his lethal brand of pace bowling in Test cricket. However, almost two years before he emerged on the Test scene, Johnson made his ODI debut against New Zealand in the 2005/06 Chappell-Hadlee Trophy. The left-arm pacer performed well in 50-over cricket for quite a while before he earned his maiden call-up to the Australian Test team. 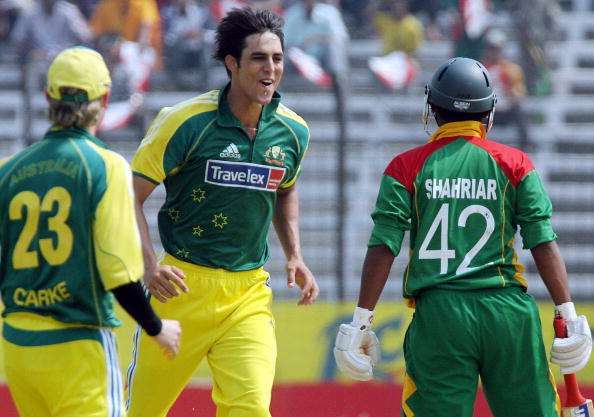 Since then, Mitchell Johnson started playing regularly in the longer format and became the spearhead of the Aussie pace attack late in his career.